Admission is free for public. Renowned qawwali maestros Fareed Ayaz and Abu Muhammad will perform at the historic Warner Theater in downtown Washington, DC, on July 7, 2018. The concert, hosted by the Rumi Circle of Greater Washington, DC, will be the first ever public performance by the two brothers in the nation’s capital. Admission to the concert is free, but registration is required. One can register for the event here. The American Bazaar is a media partner of the event. 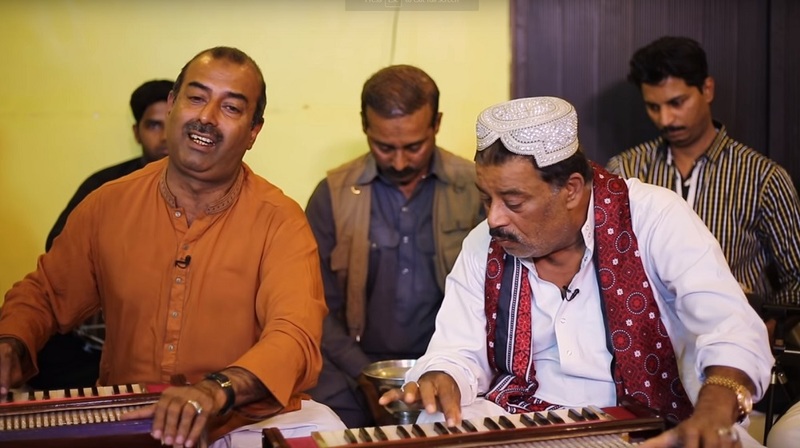 Brothers Ayaz and Muhammad are among the best practitioners of Qawwali, a 700-year-old musical tradition based on the mystical Sufi poetry. According to the Circle, which is an informal group of Rumi aficionados in the DC area, the concert — themed “Love, Lover and the Beloved” — will celebrate peace, unity, love, and pluralism, as epitomized by the works of Jalal ud-din Muhammad Rumi, a 13th century poet and Sufi mystic. The concert will be one of the largest free public South Asian or Middle Easter musical events to be held in the region, the organizers said. The event will also feature whirling Derwishes from Turkey. Their performance, called sama, is a religious dance performed to express emotion and achieve the wisdom and love of God. Ayaz and Muhammad, who belong to the Delhi gharana (school of music), were trained under their father Ustad Munshi Raziuddin Ahmed Khan, who was a prominent musician in his time. The two have performed in iconic venues in dozens of countries for more than three decades. The songs they are scheduled to perform include such popular numbers as Lal Meri Pat Rakhyo Bala Jhoolai Lalan, Man Kunto Maula, Aiy Ree Sakhi Moray Piya Ghar Aa’aiy, and Chaap Tilak.